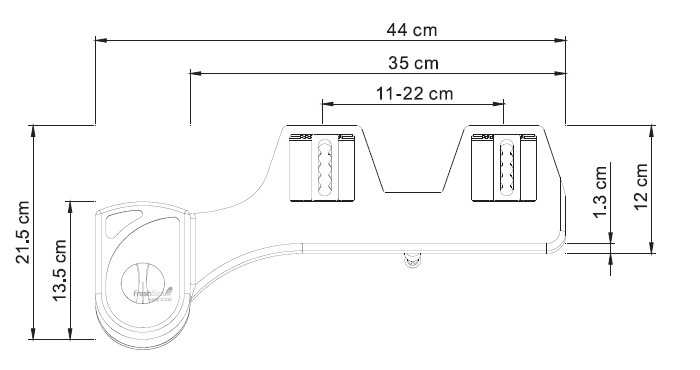 The FreshSpa Easy from Brondell is a simple to install bidet attachment that is identical to the FreshSpa Dual Temp attachment except that this model uses cold water only. It easily goes on most toilets by attaching directly under your existing toilet seat. As a non-electric attachment, no batteries or outlet are required, but rather it runs by using water pressure. The FreshSpa Easy attachments allows you to adjust the water pressure of the wash spray simply by turning the pressure nob on the control panel. You can also use the self-cleaning feature to wash the spray nozzle after use. The retractable nozzle offers three different positions so you can adjust the angle of the spray for a more comfortable wash expereince. The FreshSpa Easy bidet attachment includes all necessary hardware for installation, and comes with a one year 100% manufacturer's warranty. Free, with money saved from drastically less toilet paper to purchase - and so fresh and so clean (clean)! I have an older round toilet and it fit perfect. My advice is to tape all the fittings before you install the toilet seat or install the T-valve to your tank, just makes it easier to get to the threads. The T-valve comes with a small rubber washer setting inside. Mine was upside down. Make sure you turn it so that flat edge goes into the T-valve and the raised lip of it is turned towards the toilet tank connection. Install took about 20 minutes. 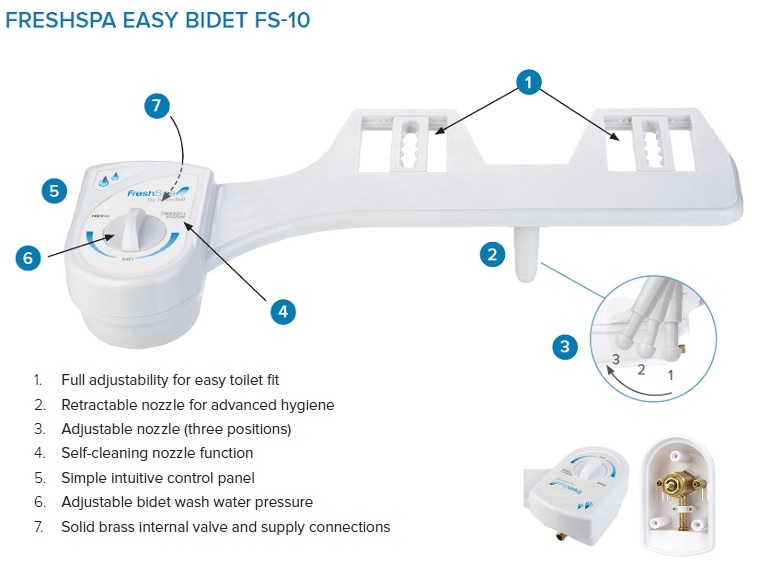 The Bidet attachment is adjustable and will fit the holes that hold down your toilet seat. First try my nozzle only went into 2 positions. I realized I had to loosen the seat bolts and bring adjust the attachment so there was room for the nozzle to move to all 3 positions. No leaks, works great. I will be buying another for the second toilet. I will never use toilet paper again. This is the perfect product for people who have irritation on their bum. I love it!